Journey to Intuitive Creation is a one day Equal Essence Experience. Dawn and Bahia have combined their many gifts, resulting in an experience you won't want to miss. In a welcoming and safe environment of like minded individuals we will be taking you on a day long journey to connect with your inner self. Our day will begin with a shamanic drumming journey facilitated by Bahia. Shamanic drumming is a way of communicating with your inner spirit. You will be guided through a relaxing meditative state. Each experience is as unique as you are. 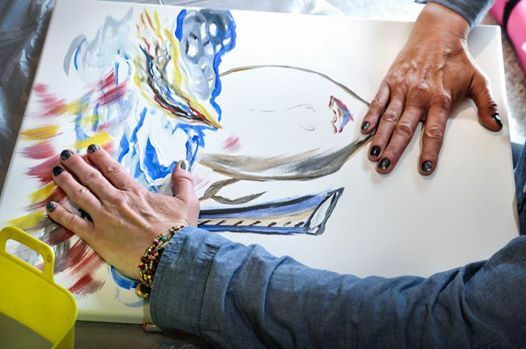 Dawn will be leading the group through a processed based intuitive art piece that will be uniquely yours. 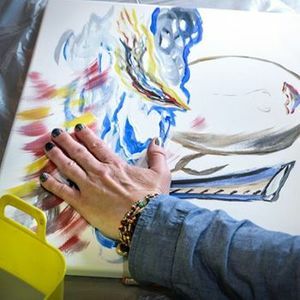 The creation of your piece will come together throughout several stages during our day together, resulting in an exclusive piece for you to take home. In addition to the two main events we will have time to spend sharing meaningful conversation, reflection, journaling and more. You will be provided with a healthy lunch and refreshments throughout the day.